Chitralahari has shattered the lifetime collection records of Winner, Jawaan and Tej I Love You in just two days and become the highest grossing movie for actor Sai Dharam Tej at the US box office. Chitralahari has shattered the lifetime collection records of Winner, Jawaan and Tej I Love You in just two days to become the highest grossing movie for actor Sai Dharam Tej at the US box office. 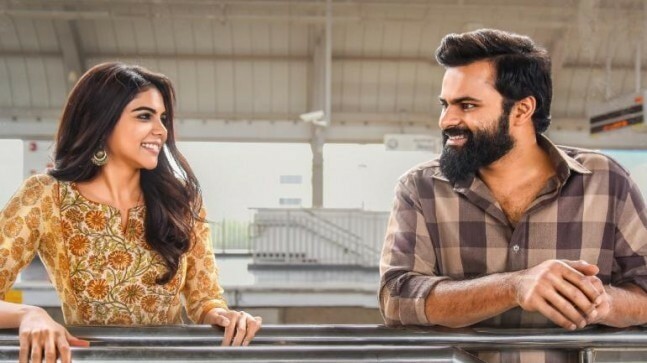 Riding on huge hype, Chitralahari registered a fantastic opening and collected $62,051 at the US box office in the premiere shows on Thursday. It became the biggest opener for Sai Dharam Tej. Jeevi‏ tweeted, "#ChitraLahari collects $62,051 from 107 locations with per location average of $580 in USA on 11 April. Highest in career of SaiDharamTej. " The Kishore Tirumala-directed movie struck a chord with the audience and garnered positive talk. The word of mouth boosted its business on the following days. Chitralahari collected $59,387 and $77,220 at the US box office on Friday and Saturday, respectively. Its two day total stands at $199,258 in the country. Chitralahari has gone on to become the highest grossing movie for Sai Dharam Tej, beating the lifetime records of his previous releases in just two days. Jeevi tweeted,‏ "#ChitraLahari collects $77,220 from 107 locations on Saturday in USA on Saturday and total gross is $199,258. Highest grosser for @IamSaiDharamTej in USA"
Here are the collection details of Sai Dharam Tej's previous releases. These numbers are based on different sources and they may not match with the actual figures released by their distributors. Sai Dharam Tej is a young hero from the mega family, who boasts of a huge fan base in the US. But his track record shows that all his movie made poor collections at the US box office. The reason for their failures is that he always tried mass masala movies, which do not really interest the audience in the country. After retrospection of his failures, Sai Dharam Tej decided to experiment with his roles and stories of his movies. His latest outing Chitralahari is a family drama, which is about a loser, who fails to get success at every stage of his life. The movie is awesome and inspirational and it has struck a chord with the filmgoers. A filmgoer named Madhu tweeted, "Success is a special word for me because I never see the success in my life. After watching the movie #Chitralahari inspired me, in future may I will succeed are not I don't know but I get some Confidents to work hard. Congrats to the entire team @IamSaiDharamTej @i_kalyanipriyan."